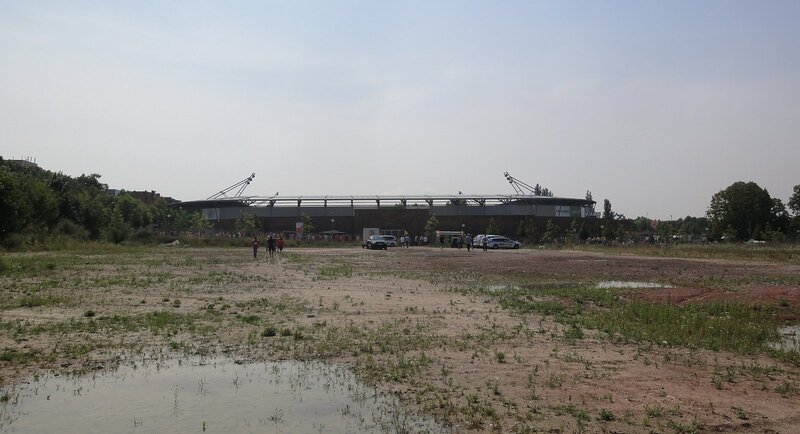 Construction started on September 4th 2010. 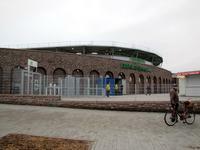 After a year a new stadiums was ready, replacing Kurt-Wabbel-Stadion that used to stand here before. 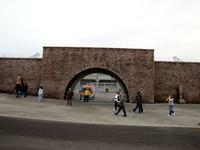 All Construction is easy, so putting the – mostly prefabricated – pieces together didn’t require more time. 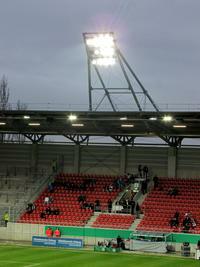 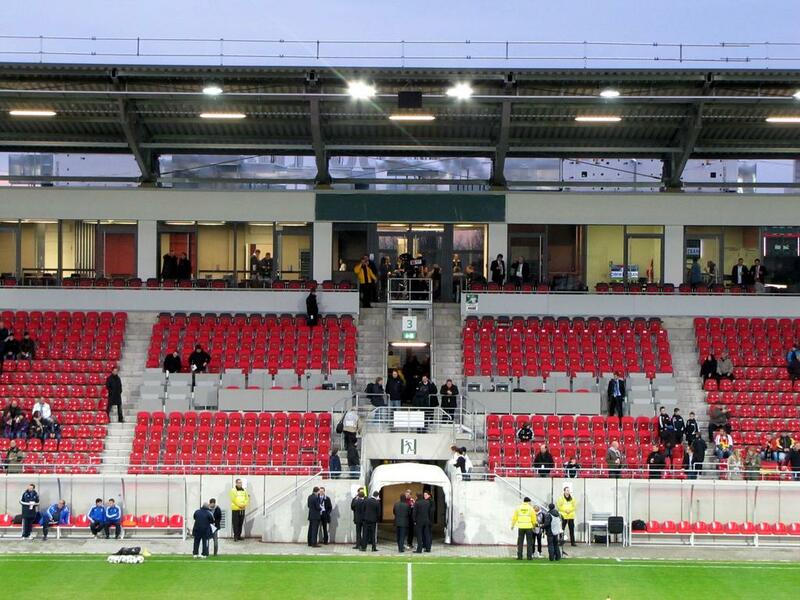 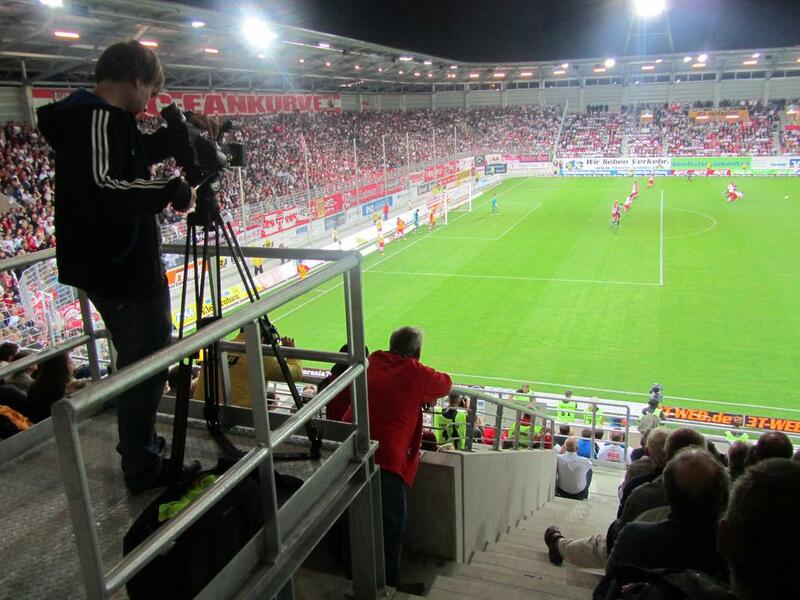 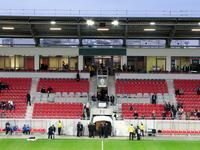 Stands have one tier and only one, main grandstand, has attached office space and player-related infrastructure. 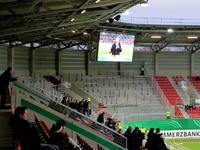 Simple covering with 4 small floodlight masts and one giant screen. 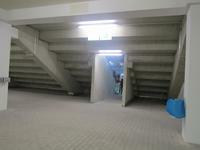 Soil is heated and putting it 2 meters below ground level allowed for costs to be kept low. Overall budget was €17 mln covered together by Halle municipality (11 mln) and the land of Saxony-Anhalt (6 mln). 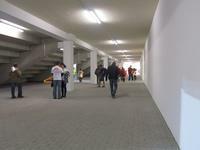 Initially, though, it was planned that construction should not rise above €15 mln. 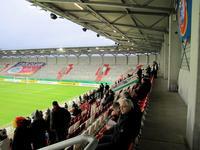 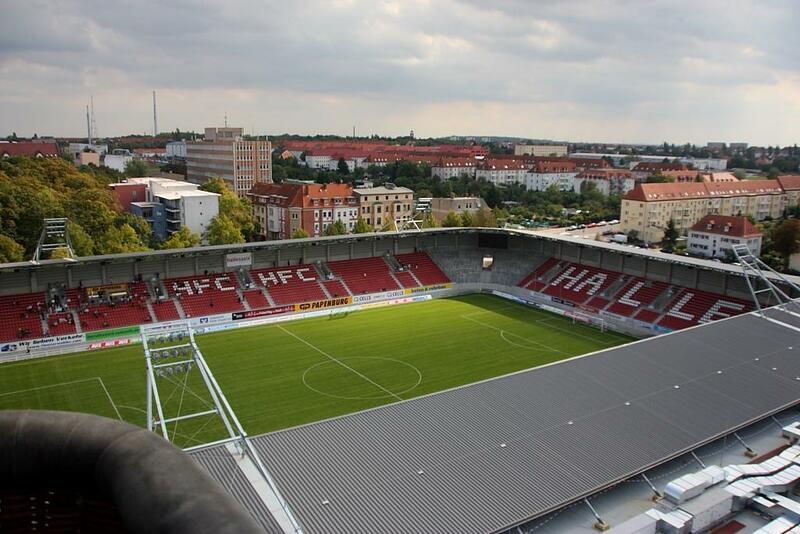 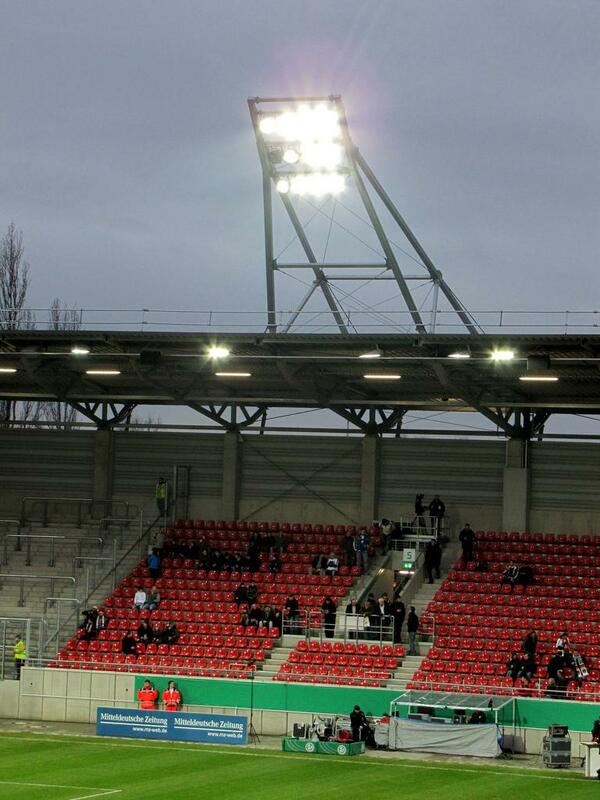 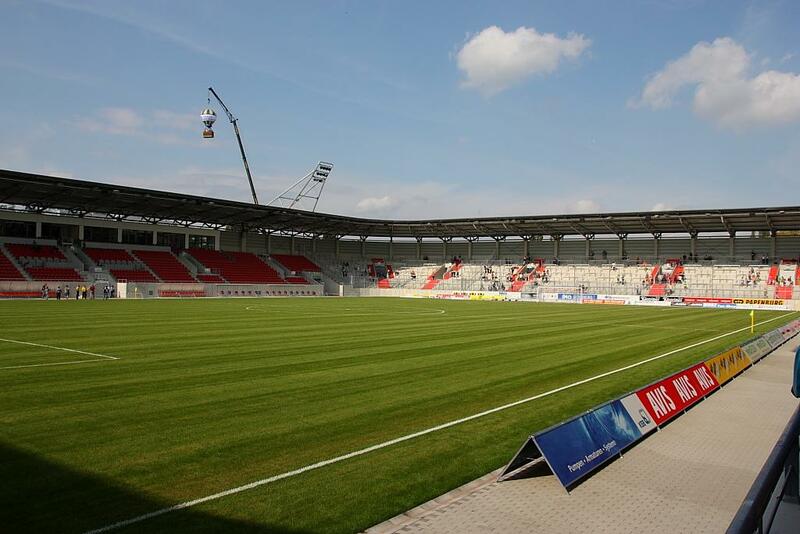 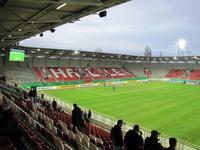 Either way the cost was rather modest and allowed for Halle to have a new 15,000 capacity football-specific ground. 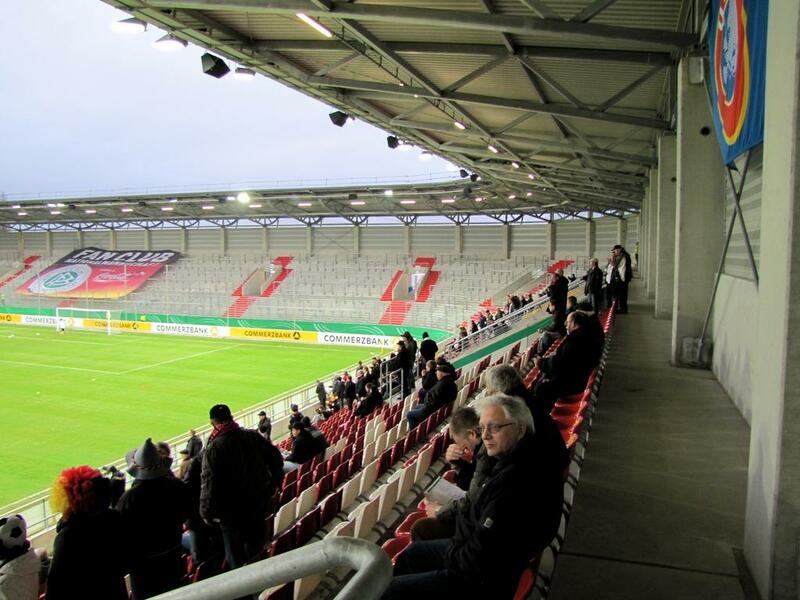 Of the room provided three stands have seats (with the exception of away section in one corner) and the 4th is terracing for the most vibrant supporters. 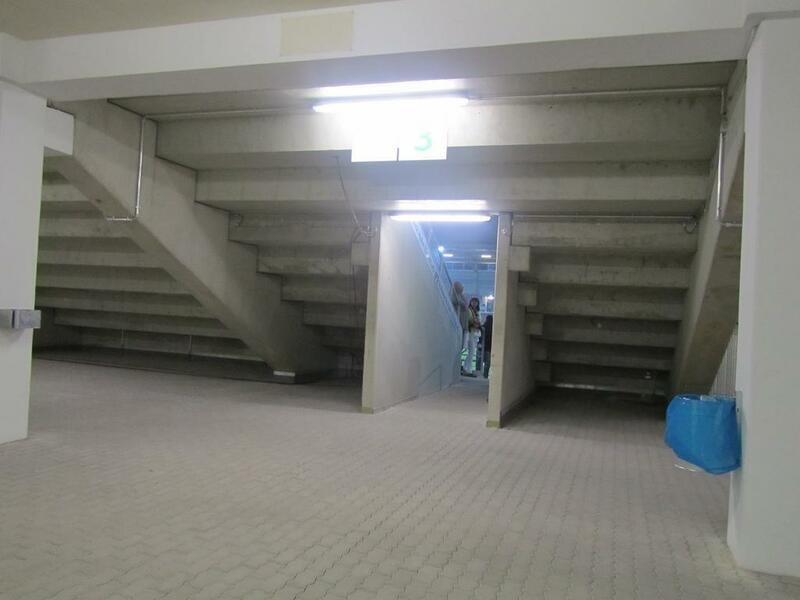 That’s a comfortable change from the old ground which had an athletics track worsening sightlines, almost no cover from the elements and no major revamp for years. 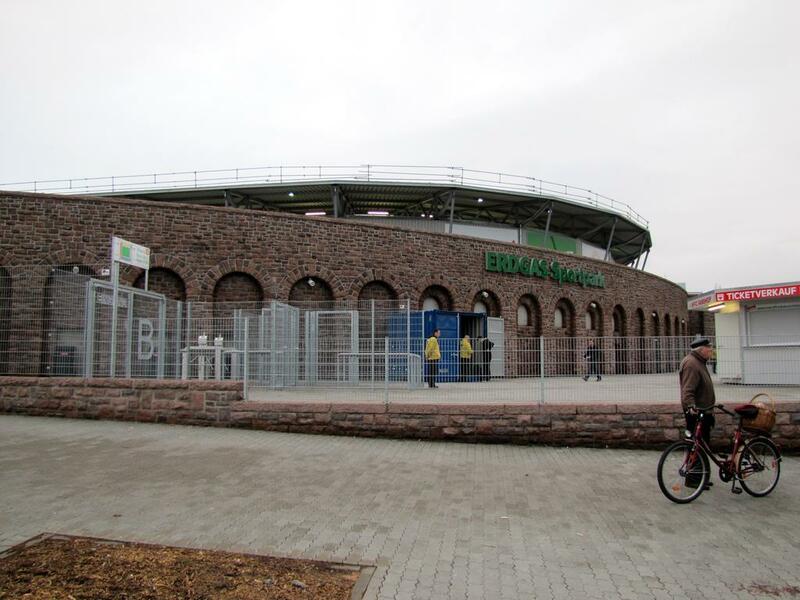 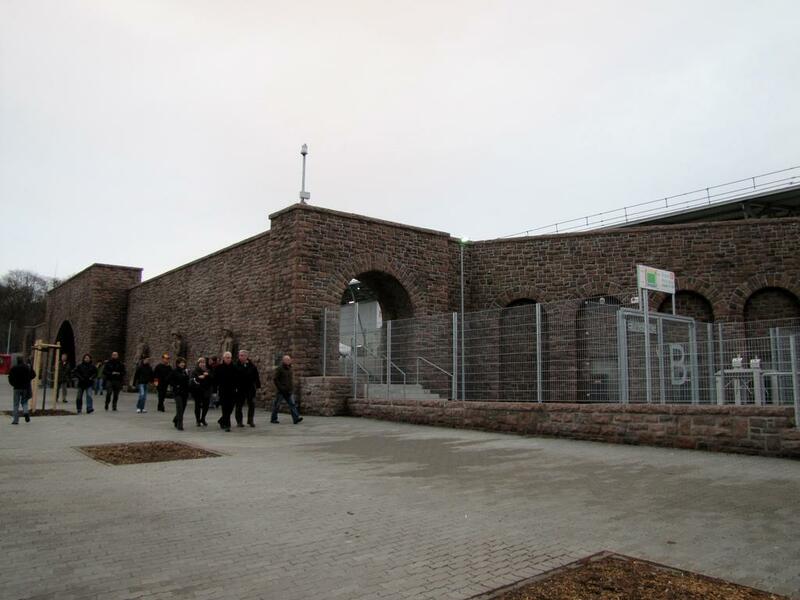 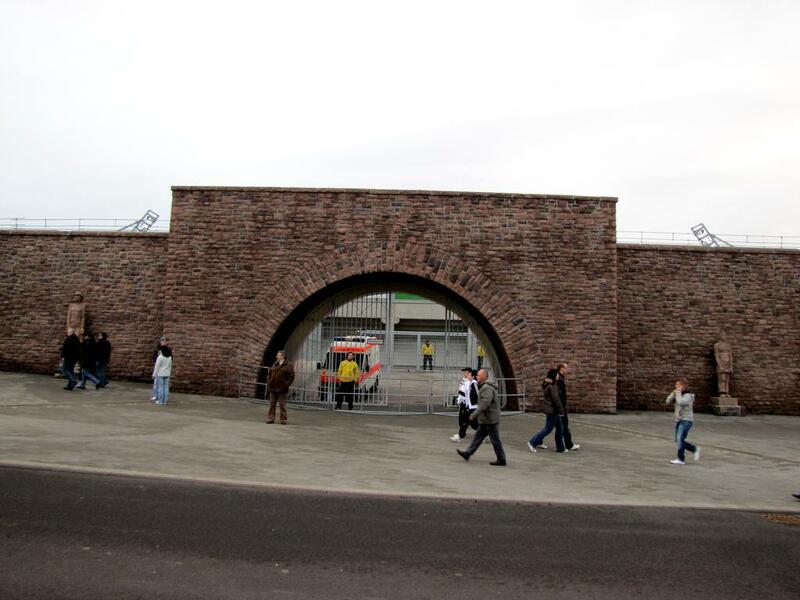 Now all that is left after Kurt-Wabbel-Stadion is the historical wall raised back in 1936 to encircle the artificial hills on which stands were built. 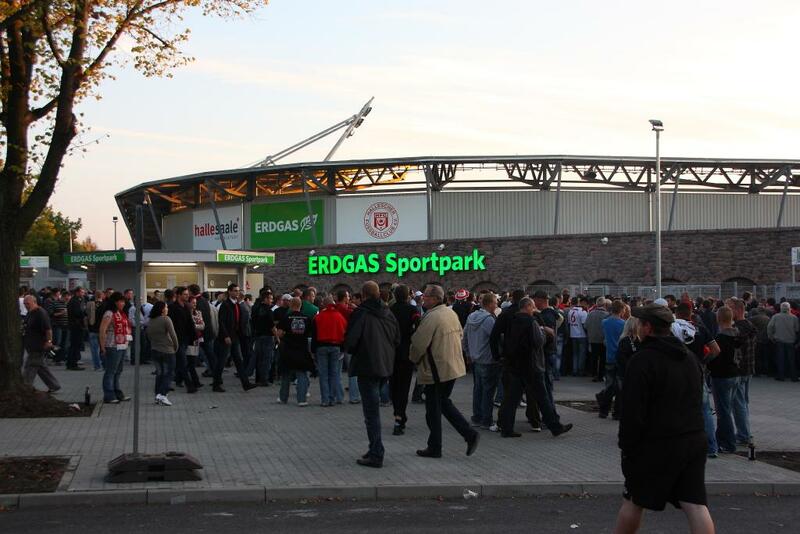 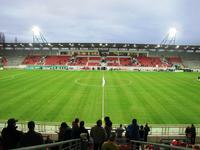 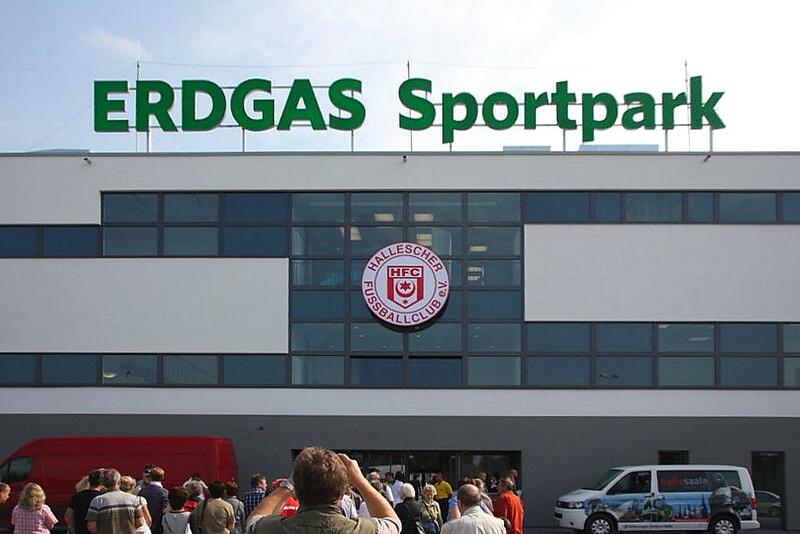 In April 2011 it was announced that for the first decade of existence the stadium will be named ERDGAS Sportpark. 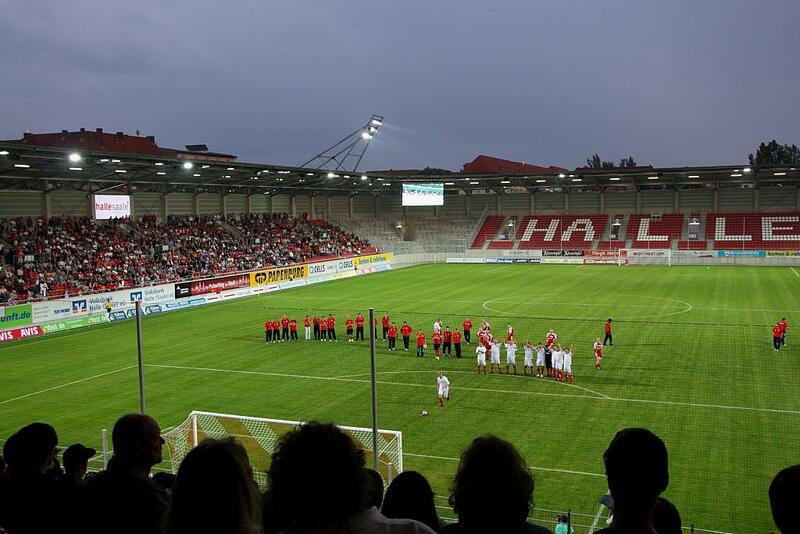 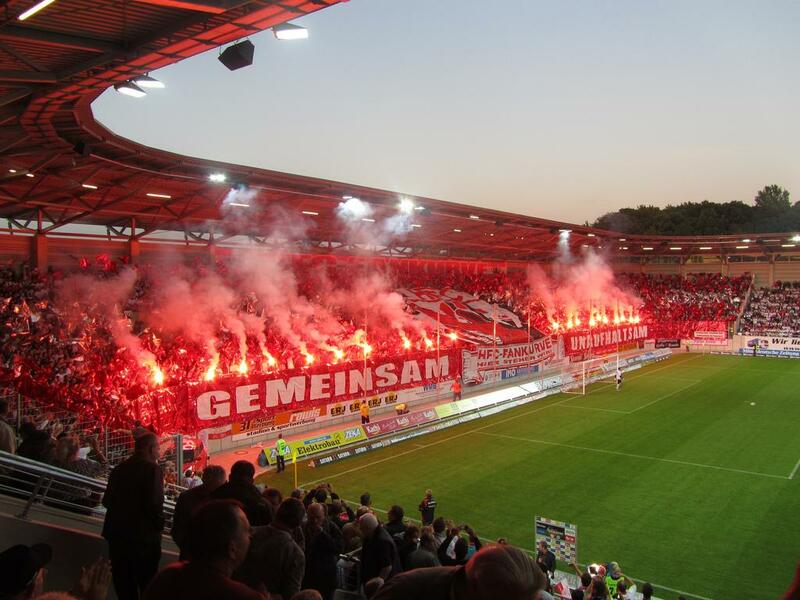 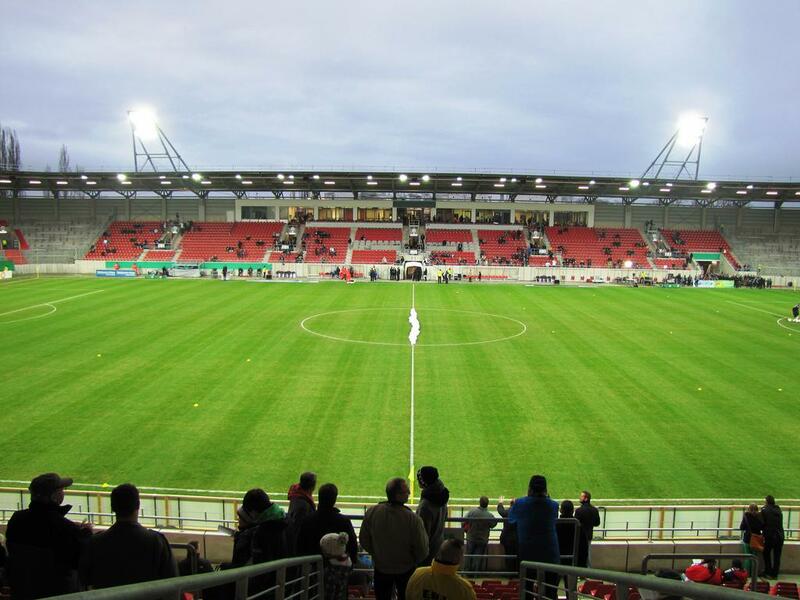 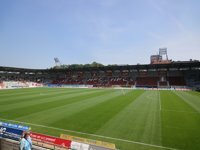 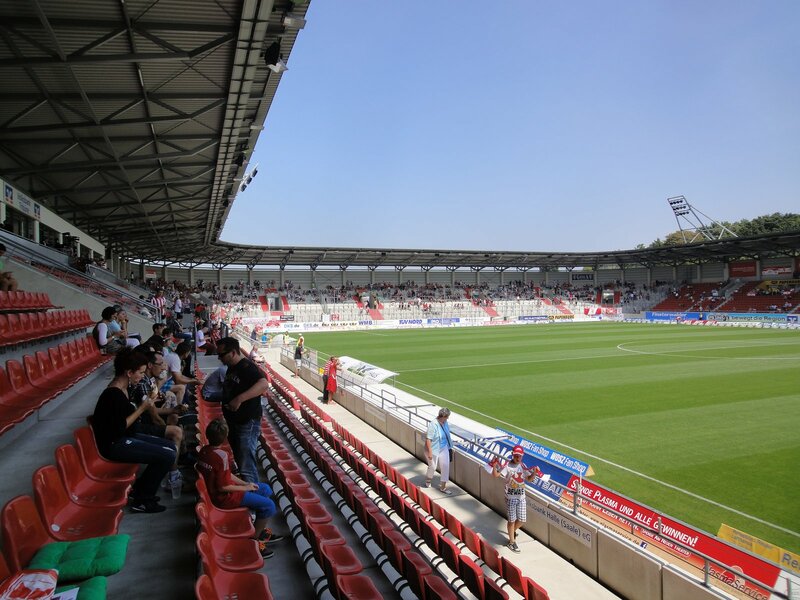 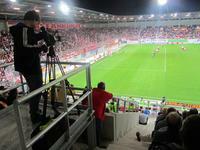 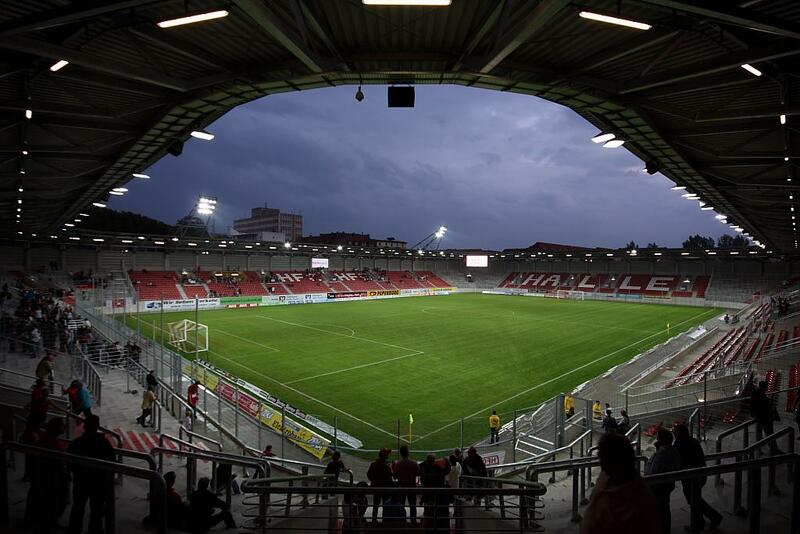 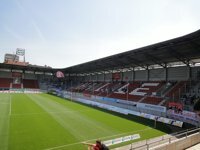 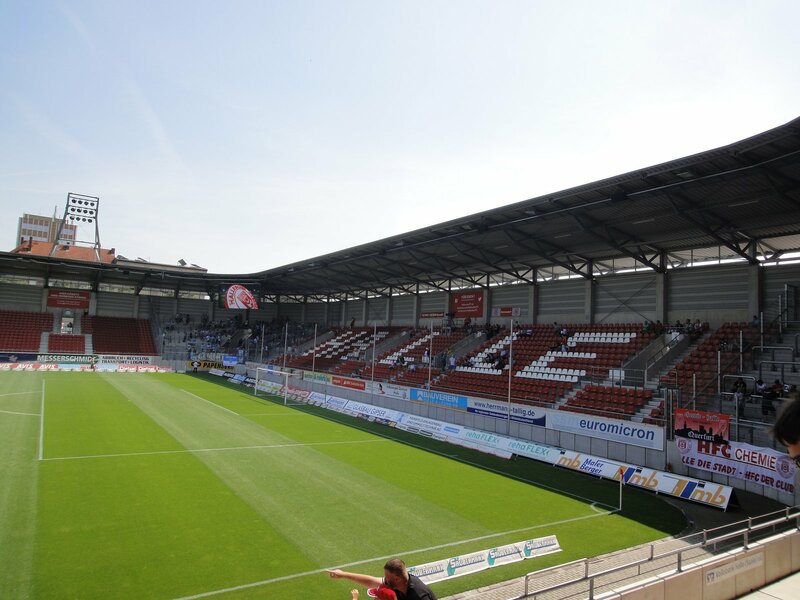 Deal worth some €5 mln means additional €500,000 per year for the municipality and Hallescher FC, the club tenant. 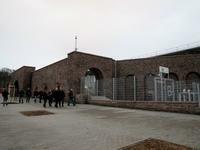 Official opening took place on September 17th, along with an open day for citizens. 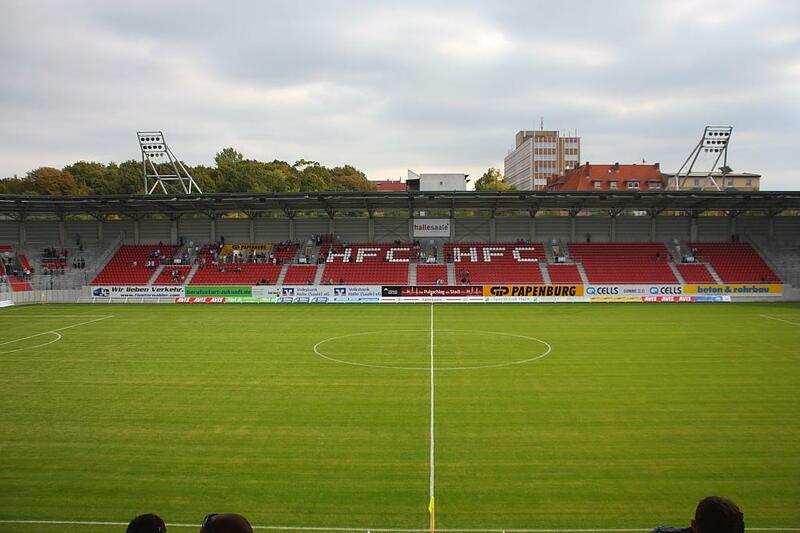 Three days later the home team player their first game, a friendly against Bundesliga side HSV.